For the last full day of our trip in the South Island we had on our plate the crossing of the Catlins. This is a region at the southern tip of New Zealand, between Invercagill and Balclutha, with a spectacular coastline and a dense temperate rainforest. The area had been inhabited by the Maori for more than 1,000 years. 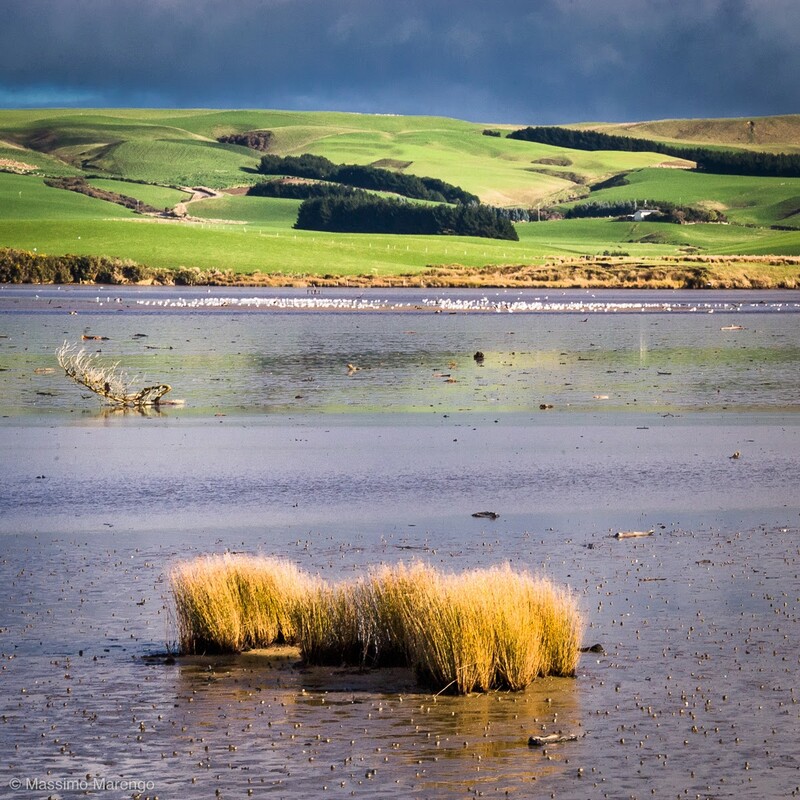 The modern name of the Catlins, however, is from Captain Edward Cattlin, who bought a large piece of land on 15 February 1840 from Kāi Tahu chief Hone Tuhawaiki for muskets and £30 (roughly NZ$3000 in 2005 dollars). The land commissioner declined to endorse the purchase, and most of the land was then returned to the Maori after Cattling death, but the name stuck. We left Te Anau early in the morning on Route 94, turning South at Gore to reach the “Catlin Highway”. I am putting quotes here, because this part of the Southern Scenic Route is no longer designated as a the State Highway 92. It is instead a collection of roads of different size, some of them not fully paved, many of them quite scenic. We were in a hurry, so we couldn’t stop much along the way, but the little roads of the Catlins are certainly worth spending some slow time, looking at the local fauna and at the landscape. We took one of these little roads, passing through the costal hills of the Catlins. 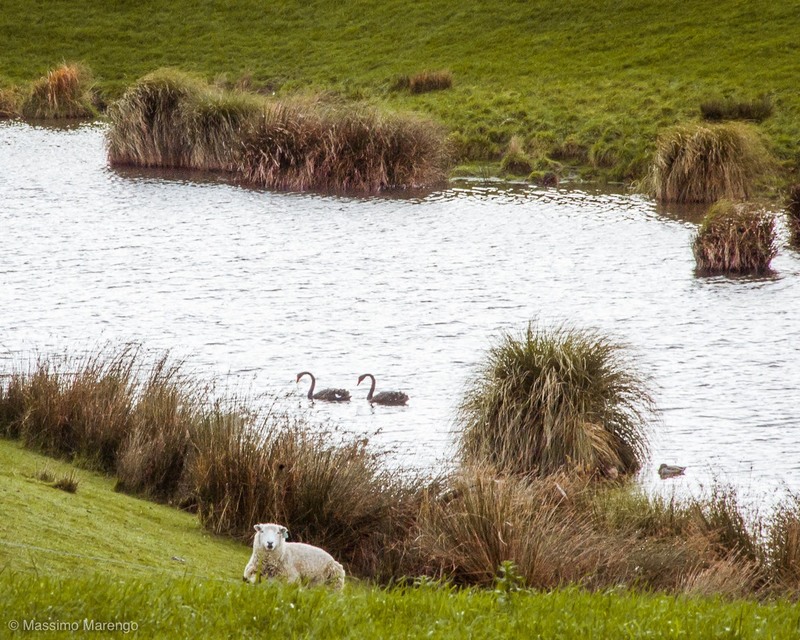 The photo on the left shows one of the many ponds along the way, with the usual complements of sheep and aquatic birds (this time, uncharacteristically, swans). The photo above was instead farther down the way, I believe along the Haldane-Curio bay road, an unpaved road that leisurely crosses the southern part of the Catlins. The road ended up in Curio bay, but I will leave that for next post.